Many rural householders forced to rely on septic tanks and cesspits for their domestic sewage disposal are unwittingly damaging their drainage systems and risking costly repair bills. 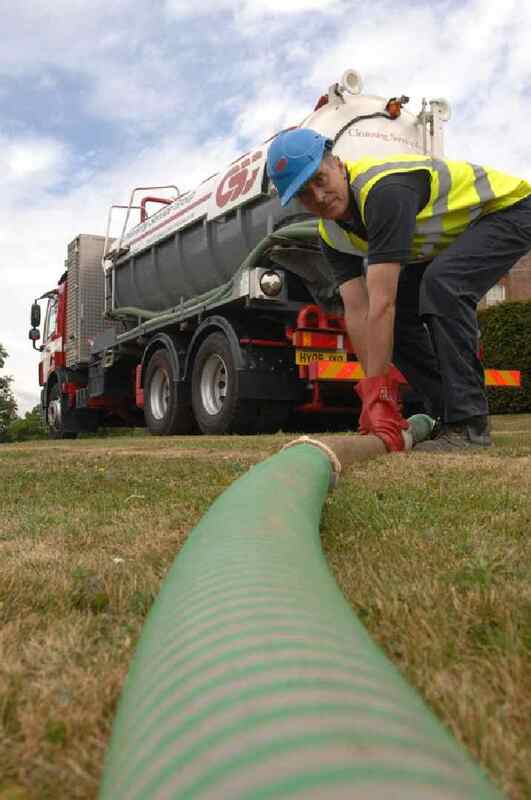 The company is taking its campaign to keep Britain’s septic tanks healthy to a number of County Shows during 2011 and at every one experts will be on hand to answer all questions about off-mains drainage and give advice on how to keep septic tanks operating efficiently. And this means knowing what not to put down them. CSG say the tanks are a proven and efficient way of treating domestic sewage and need never be a disadvantage for country-dwellers. “Normal domestic use in which the tank handles drainage from lavatories, baths, sinks and kitchen appliances like dish-washers should pose no real problems, but the systems do need a bit of extra TLC and maintenance,” said CSG’s commercial manager (sewage) Chris Febrey. “Rural householders who do not enjoy mains drainage will need to remember that septic tanks are living systems which rely on bacteria working within the tank to treat the waste. And that means watching what you put into them. “It’s easy to forget that an average family of three produces about seven cubic metres of sewage in around three weeks. Imagine that over a year and you’ll see just how hard a septic tank has to work or how quickly a cesspit can fill up,” said Mr. Febrey.